Whether it is Christmas, birthdays, or another special occasion what could be better than a gift that creates a memorable experience? Give a voucher for an adventure they’ll remember forever! 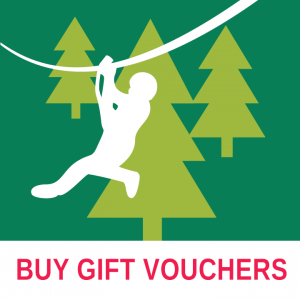 Vouchers may be purchased for our High Ropes Course, and/or our Army-style Assault Course. The high ropes closes for the winter and reopens Easter Saturday every year. However, vouchers purchased in winter, for example, are valid for the whole of the following 12 months. Any voucher which may have been purchased through a third party, and eligible for an extension, should be validated by us. This is done so an email confirming the voucher’s extension to the whole of next season can be sent.